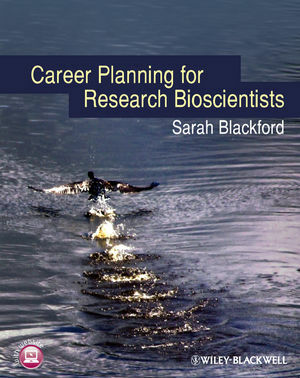 Career Planning for Research Bioscientists is an essential careers guide for bioscience doctoral students and postdoctoral researchers. It contains a wealth of information and resources specifically targeted at research bioscientists, with practical strategies to enhance career success in an increasingly competitive job market. Advice on how to write a winning CV together with examples adapted for different jobs is presented, as well as practical exercises to assist with skills analysis and decision making. Profiles of PhD-qualified bioscienstists in a range of professions including academic research, industry, science communication, management and consultancy provide valuable insights into how others have managed their careers, and tactics such as networking and using social media demonstrate how new opportunities can be discovered. The content of this book is aimed primarily at research bioscientists, however much of the advice and information will be a useful reference for other students and researchers looking for an effective career planning strategy. A companion website with additional resources is available at www.wiley.com/go/blackford/careerplanning and you can visit Sarah Blackford’s blog at www.biosciencecareers.org for more information. Sarah Blackford is the Head of Education and Public Affairs of a large international bioscience learned society. With a Master’s degree in careers guidance in Higher Education and a background in bioscience research, scientific publishing and university careers advisory work, Sarah is uniquely qualified to support research bioscientists with their career planning and management. For over a decade, she has been delivering talks and career workshops in university departments and at international scientific meetings and career events, as well as providing individual career coaching to students and postdoctoral researchers. “Whether you are actively job hunting or just interested in boosting your employability skills, this book is full of tailored advice. Written in a friendly, informal style by a professional careers adviser, it is peppered with examples from her own career. At times it gives you the feeling you are speaking directly to a careers adviser, rather than reading a book. Chapters cover career planning, an analysis of the job market, advice on writing applications and attending interviews. A self-awareness section and self-analysis exercises are useful for readers to learn how to promote themselves favourably and a chapter on enhancing employability suggests activities to strengthen applications.